Most of the windows users uses PuTTy for connecting Linux servers. While using putty we can’t .pem file to login to remote Linux server. We can use only .ppk files in putty to use key based login for Linux server. For example, I had created a Linux server on Amazon and it provides in a .pem file for login to the server. I can easily use this .pem file while using ssh command from the Linux system but when I use windows, I can’t use a .pem file with putty. 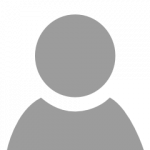 This article will help you in converting .pem to a .ppk file using PuTTYgen. I have downloaded PuTTY complete installer from PuTTY Download Page and install. We can also only download PuTTYgen from same download page. Step 1 – Open PuTTYgen software and click on load button. 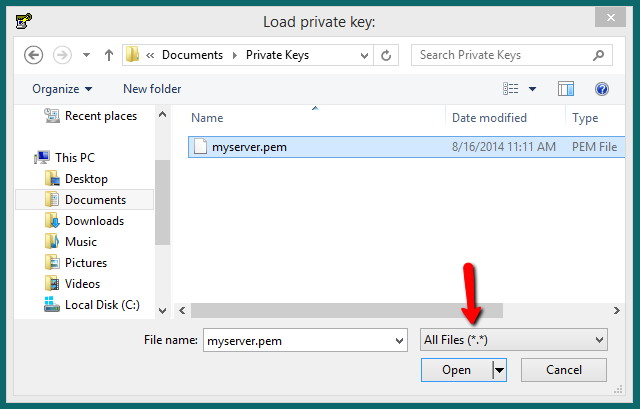 Step 2 – Now select .pem file from your system. By default, it shows only .ppk files in a list. So select All Files in the drop-down list. Step 3 – Now you will see a successful import message. 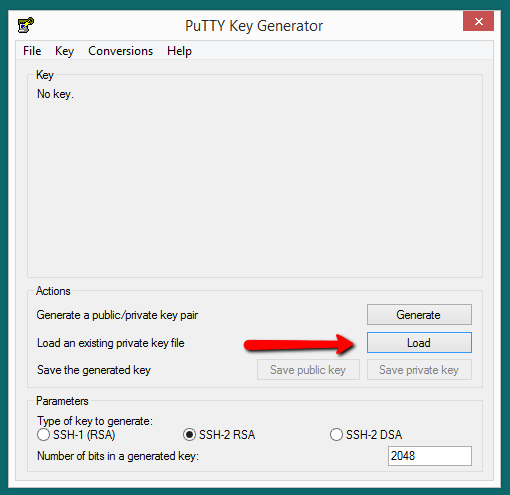 Step 4 – Your public key will appear on PuTTYgen screen and you can save .ppk files by using Save private key button on the screen to save private key files. Awesome post, thanks for sharing the info.